Emergency managers and safety officials from throughout the county attended the event Wednesday, which included representatives from the National Weather Service (NWS) and the U.S. Army Corps of Engineers. The event was aimed at helping communities prepare for flooding and the role of the county’s EMA. Chairman Kurt Prenzler, who attended the event, said he was impressed with the discussions. “It was great that everyone came together and shared information and we learned quite a bit,” Prenzler said. 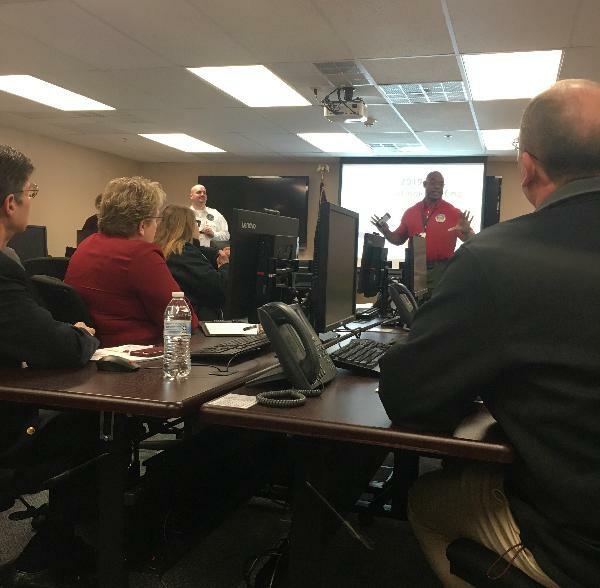 Dozens of fire department, law enforcement, sanitary sewer and levee district, public works, county and elected officials discussed everything from sandbagging to documenting the costs associated with flooding. “We are here to help you,” EMA Deputy Director Mary Kate Brown said. EMA Director Todd Fulton credited Brown with putting together the event to discuss not just the rising floodwaters of the Mississippi River, but the role of emergency management during natural disasters and other emergencies. “We’re here to provide you the resources you need,” Fulton said. EMA Logistic Coordinator Tony Falconio said the county could provide use of its sandbagging machine, which Alton used in preparation for flooding. Currently, Alton is experiencing moderate flooding along its riverfront, downtown and east on the Great River Road toward Godfrey. Although floodwaters expect to drop some in the near future, Mark Fuchs, a service hydrologist with the NWS, said the main driver to the areas outlook for flooding is rain events. He said that throughout April there would be an above normal precipitation. Fuchs said that with the Mississippi River staying above flood stage, rains could cause interior flooding. He said the water would not have anywhere to go. “The tributaries (creeks and streams) in Missouri and Illinois are still high,” he said. Tracey Kelsey, program manager with the Corps, said the Corps’ role in assisting emergency management during floods is two phases. She said the first phase flood engineers contact local levee sponsors and the second; it deploys teams to local levee areas for technical assistance. The Corps also provides post flood recovery. Costs associated with flooding are reimbursable if the state declares it a disaster and the threshold for a federal disaster declaration is met. As flood waters begin receding, emergency management will collect damage information from affected people and units of local government. 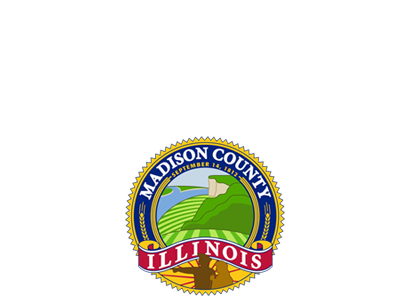 That information is forwarded to the Illinois Emergency Management Agency (IEMA), where it will be reviewed to develop a picture of the overall impact on people and local governments and if a state should make a disaster declaration. Alton Fire Chief Bernie Sebold said people should not go into thinking there will be a declaration. Sebold said Alton alone had more than $1 million in flooding costs in December 2015 and the declaration did not meet the state threshold for reimbursement. He said reaching out to smaller counties like Jersey, Green and Macoupin counties to let them know to report costs associated with flooding could help meet the state threshold, which is around $19 million. “They are not reporting,” he said. Brown also noted that towns within Madison County were not reporting. “We need everyone’s help to get those reporting numbers in,” Sebold said. Agencies should keep track of all flood related activity to include volunteer hours, food costs for flood workers, materials purchased, etc. The costs include interior flooding as well. For officials not sure what to document, EMA can provide the information and examples. Falconio reminded everyone there should also be pictures of areas before it’s flooded. Prenzler said he was impressed by the ideas and collaboration between everyone. He said he also learned a great deal more about the county’s role and how everyone works together. He commended EMA for putting on the event. “It was a great turnout with great participation,” he said.